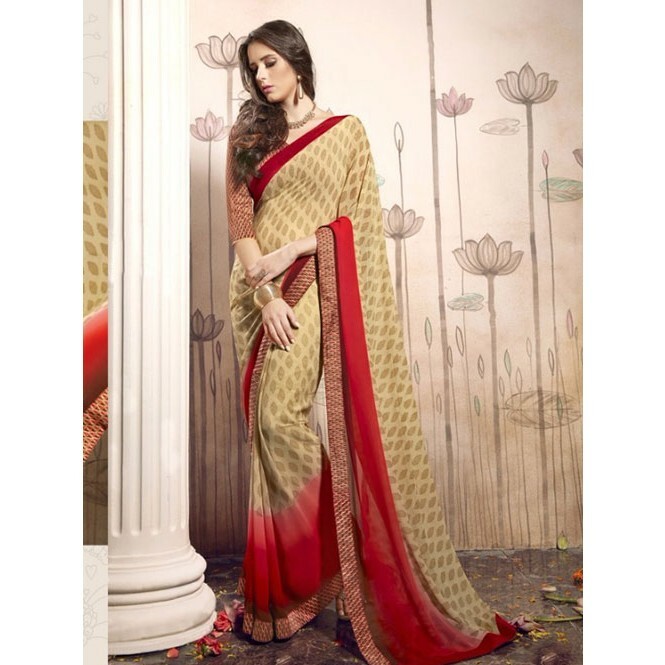 Beige Colored Beautiful Faux Georgette Saree with Printed Blouse. Saree Length:- 5.6 mtr. Blouse:- 0.8 mtr. 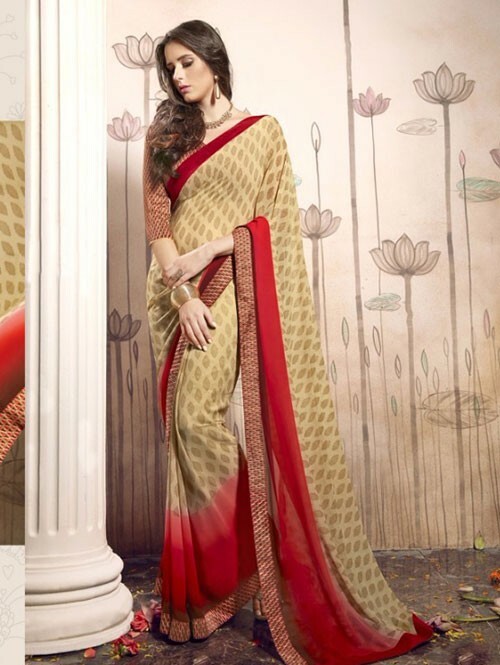 Trendy and eye-catching, this light weight Floral Beige Georgette saree with contrasting printed Artsilk blouse is perfect for both every day wear and occasion wear. Available in Single color,as a special piece. Look your Fashionable best in this exuberant printed attire, exclusively designed for this festive season. Wrap yourself up with this vivid range of colors.